Children’s shows and family movies are a tap away. Control it all from your phone or tablet, so bed time really means bed time. 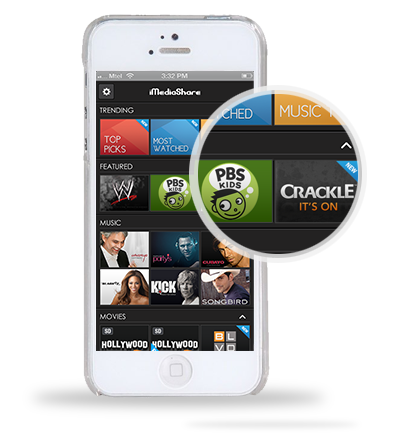 Watch content on the TV screen, then seamlessly switch to your mobile device - all without interrupting playback. On the go, just like you. 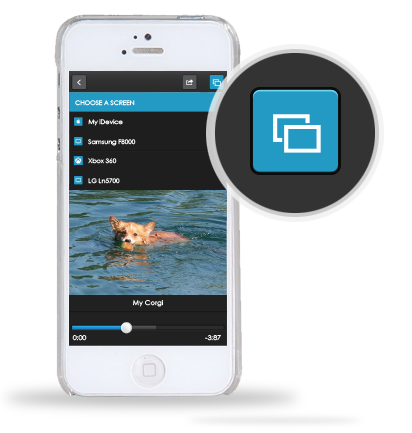 Take your favorite movies, videos and photos with you wherever you go and flip them to any connected screen around. Bring everyone in on the fun. Hit movies, music videos, news, sports, fitness classes or cartoons - there's always something for everyone. Instantly connect to any TV around - at home, at a friend’s house, or the local coffee shop - so you and your friends can enjoy that swimming corgi video together. 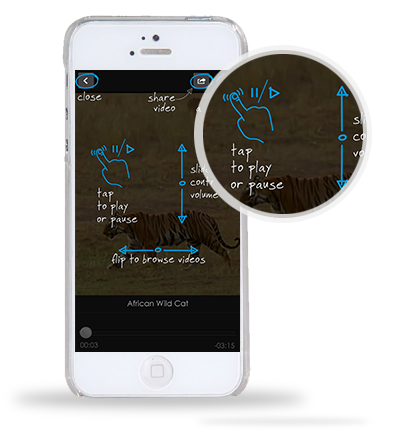 Adjust volume and playback straight from your mobile device. Search from your mobile. Don't ever reach for the remote. GO ahead. DITCH the box. If you enjoy watching your favorite contents on TV, "Like" iMediaShare for feature releases, industry news and behind-the-scenes footage. Copyright © 2011-2013 iMediaShare. All rights reserved.